When I was in elementary school, the Scholastic book catalogs were everything to me. So cheap! Books! Cheap! It was a smorgasbord of chapter books and it was hard to show any restraint, especially when it came to new Animorphs books. Animorphs were to me what Wimpy Kid and 39 Clues are to kids today. I still have fond memories of them, even as I glower suspiciously at one of the co-authors as he goes on about being such an awesome white dude who writes diverse books yay! Anyway! One of my most-read purchases from the catalog was Catherine, Called Birdy by Karen Cushman. Our teacher had begun reading it aloud to us in class, but she had to leave in the middle of the school year, so we never finished it aloud. I had to know what happened to Birdy. Did she run away with Wat? Did she become a tumbler? Did she have to marry the horrid old disgusting man??? God's thumbs! Everything about Catherine, Called Birdy is perfection. From Catherine's authentic voice to the diary headings as saint's name days to the unvarnished truth about what it was actually like to live in the Middle Ages, it captivated me. I used to wonder at people eating peacocks and shudder at the thought of bathing once a year. This was when I took at least two showers a day--or was this book the cause of my showering obsession? I used to hide the book in my sock drawer for no reason that I can discern as an adult. My little brother certainly wouldn't steal it--he didn't care about my books. We had no pet to menace the book with gnawing. I suppose I simply felt it was safe and utterly mine among the socks. Come on, I was nine. Kids are weird. In any case, Catherine, Called Birdy is still one of my very favorite childhood books, and one that I often recommend at work. I also enjoyed Cushman's Matilda Bone, The Midwife's Apprentice, and Alchemy and Meggy Swan, but none of them reached that pinnacle of Middle Ages angst and hilarity that was Catherine. 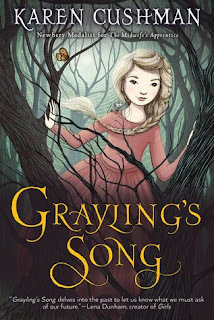 Imagine my delight, then, when I saw that Karen Cushman had a new book out: Greyling's Song. I clicked "request" so quickly that I may have broken something in my mouse. 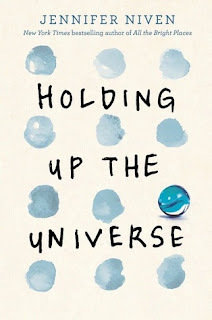 The Netgalley gods deemed my request worthy, and I eagerly opened my Kindle and began to read. A few chapters in, I felt the need to double-check the author. Sure, it's set in the time period Cushman usually writes about, but the bold characters and snappy dialogue of former books hadn't appeared. Greyling's mother is a wise woman--a hedge witch, if you will. She has potions and songs and little cantrips for minor complaints. Got a wart on your face? Send for Hannah Strong. Too much gas in your bowels? Hannah has a cure for that. Yet her daughter, Greyling, has no such aptitude. Hannah's not an affectionate sort, and between that and her mother's sharp tongue, Greyling worries that she is a disappointment. But one day, the cottage catches fire while Greyling is in the woods, lamenting her lot in life. When she returns, she finds her mother rooted to the ground--literally. Hannah Strong's feet have become the roots of a tree, and her grimoire has been stolen from underneath the hearthstone. As she is in no way ambulatory, Hannah sends Greyling off to fetch the grimoire and locate other magical folk to fight whatever unseen enemy they have gained. To locate the grimoire, Greyline must sing a song (SEE TITLE) and also not be separated from the book by water. On her peregrinations, she meets up with an elderly hedge witch named Auld Nancy and Nancy's great-niece, Pansy. We learn that Pansy, whose "face was as white and puffy as risen bread dough" is "foolish and sullen." All she does is ask about food. Because obviously the only thing fat people think about is food. Oh, and fat people are sullen, dumb, and nasty. This was at 19% in my ARC and I was already over this story. Yes, do use an antiquated and hurtful stereotype to lazily "characterize" Pansy. Hur-hur, fat girl like food! Fat girl dumb! I wanted to slap someone. Ahem. Moving on, the trio meets an enchantress named Desdemona who literally plays zero part in this story except for "twitching her shawls" at men and getting them to fall in love with her, which is definitely the kind of magical power you need on your side when you're going up against someone who's turned all the cunning folk in the land into future kindling. Desdemona twitches those shawls so often that I wondered if it was some sort of strange euphemism. She also disappears for large portions of the short narrative, but I honestly didn't miss her a bit. When she reappeared, I thought, "Oh, are you still ... part of this?" The majority of Greyling and her posse's journey consists of them squabbling and complaining. They get captured by a man with an iron nose, but escape. They have to ford a river, and complain about getting wet. They have to scrounge for good, and they complain about being hungry. Imagine the Downest of Debbies and you've got this foursome (occasionally fivesome). Greyling and her "friends" end up finding the grimoire, but then the true villain reveals herself. It's ... Pansy! Yes, untaught Pansy is the most powerful witch in the land and managed to whip up this spell that made unknown cunning folk turn into trees and glamoured a young man into being a dragon and hid the grimoires in a spooky castle. What? No. No. It's completely unbelievable. Oh, wait! I forgot! Pansy is fat and whines a lot about food! No wonder she is the bad girl. We can't have a fat person be likable, now, can we? Doesn't that promote obesity? By the way, Pansy is only ever described as "plump," but Greyling paints her as some sort of food-obsessed half-wit. Even after she is found out, everyone's willing to give Pansy a pass on the whole killing-a-bunch-of-people-via-arboreal-transformation thing and train her to be a good witch. Then Cushman takes a massive detour into Star Wars land: Pansy ends up choosing the Dark Side of the Force because it's fast and easy and gives you what you want, instead of agreeing to train and be patient with the Light Side of the Force. Greyling realizes her power is in her song and her tenaciousness and after making sure her mother hadn't grown leaves, trots off to make her way in the world. The end. When I finished, I felt both relieved and frustrated. This insipid story was finally over, thank goodness. I didn't know if I could take much more squabbling. On the other hand, I know Karen Cushman is an excellent writer. In fact, I found her end notes on hedge witches, potions, and incantations to be far more interesting than the actual book to which they were appended. I do wonder if she does better sticking with more straight-up historical fiction and not so much the magical woo-woo part of it all. 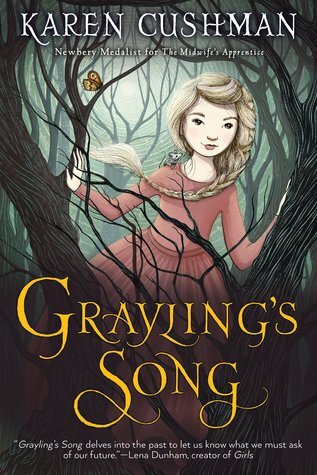 Nothing about Greyling's Song was funny, insightful, or made me want to learn more about the Middle Ages in the ways that her other books did. This may find a readership with kids who'll read anything about magic, but I am profoundly let down. I must go find my copy of Catherine, Called Birdy to mend my shattered hopes. P.S. I forgot to talk about the talking, shape-shifting mouse but at this point I'm over it. It must be such a disappointment to find a childhood favourite who just isn't writing up to your expectations any more, though I suspect even worse would be to reread the childhood favourite and find that it isn't as good as you remember. I prescribe a dose of Susan Cooper, who never stopped writing fabulous stuff even AFTER her classic Dark Is Rising. 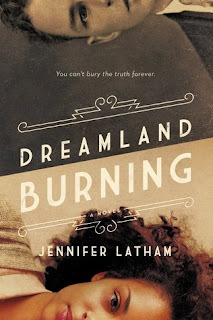 Her newest book, historical fantasy set in early colonial America, is simply wonderful! Ah, yes, Scholastic book club! I remember it from when I was a young teacher taking book orders from my students. The kids loved it and there was something special about opening that box of books, which usually included an extra book for the teacher or the school library....And Book Club sold thousands of copies of my own books. In one case, it sold four thousand copies out of the six thousand published! I never got any royalties, though, because the author share of the price of those cheap books is about 20c a book and that just didn't cover the advance. So, with a sold out book, I never got royalties! :-( Still, 4000 kids got to enjoy it! I've yet to read The Dark Is Rising sequence. I need to carve out a nice nook of time in order to have a go at the whole thing. How cool that the book club sold your book! Books. :-) Two of the early ones. Potions to Pulsars: Women Doing Science and Your Cat Could Be A Spy. Cat was the one that sold out and still made me no royalties. Potions sold out also, but did make me royalties. I guess it was the subject matter. A bookshop lady told me they sold lots of copies for batmitzvahs. ;-) I actually had a fan phone call for that one! Shriek! You haven't read The Dark Is Rising? The classic series? Look, even if you just read the title novel, read it! They more or less stand alone until the fourth one. I mean, it's a series, but it doesn't matter if you stop, except you don't want to. I think the Will Stanton books are better than the Drew children ones, but they're all worth reading. one word of warning, though: absolutely do NOT watch the movie of the title novel. Just don't, or it will put you off the books. It's what would have happened if J.K Rowling hadn't stayed firm with the film makers when her first novel was optioned.